At Hekiyou Academy, the Student Council is chosen by popular vote leading to a garden of beautiful/popular girls. In addition, the top ranking student is also given the opportunity for the position of Vice President. Thus begins Sugisaki's Harem Life with the Student Council Members! Each day of the Student Council is filled with back and forth jokes, jabs, references, and even a bit of flirting on occasion. My Previous Write-up on why this series should be licensed. 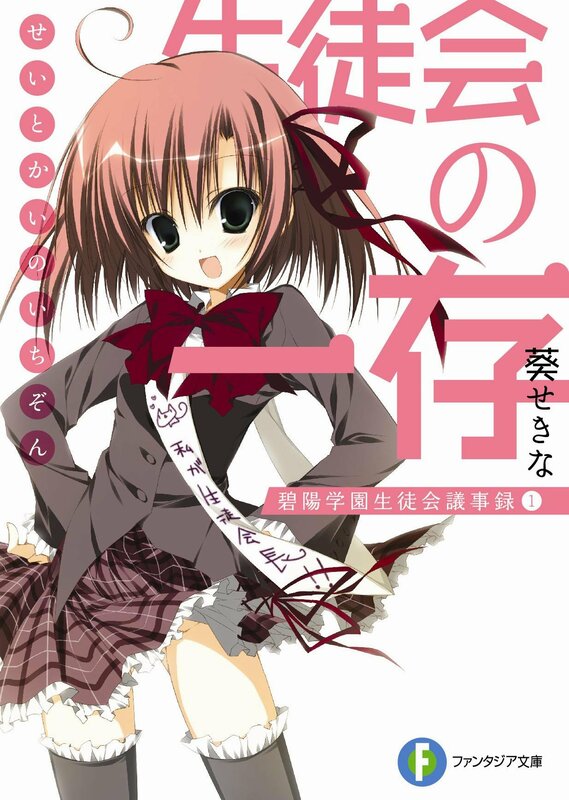 This is an absolutely fantastic series which has fun with harem, comedy, and a developed protagonist. It's one of the most influential series for me. And every aspect of the series is unique for its time. What makes this stand on a pedestal of harem for me is the protagonist and the heroines. The series quite literally starts with the characters already aware of Sugisaki Ken's romantic aspirations for them all. The reason for this is that upon entering the first Student Council meeting, he confessed to all of them. Ken is a protagonist that knows that he wants the harem ending. His reasoning is that he wants to make all the heroines happy. Wishy washy dense protagonists typically end up picking a single heroine leaving the rest in sadness. I'm sure we as romance fans also understand this pain. In addition to his character, his relationship with all the heroines blend well as they constantly have back-and-forths. There's his teasing of Kurimu the President, being teased by the treasurer Chizuru, plenty of back and forth with the high spirited Shounen-Trope lover Minatsu, and his attempts of communication with the Otaku/Fujoshi Mafuyu. This is a series not about the setting, drama, or even the rapid-fire references. It's about the characters and their interactions with each other as they not do student council work. The comedy for this series is all about teasing, manzai, and silly references taken too far at times. Each of the characters interact with each other differently leading to back and forths on various topics. This can include Sugisaki teasing the child-like president or being teased in return by another member. The goal of each day is to prevent work from getting done as Sugisaki constantly drives the meetings so far off topic, you'll have to go back to the beginning of the chapter to figure out the starting topic. This series is not afraid to get meta either. It will rapid-fire reference popular series during its time like Death Note and Haruhi Suzumiya as well as referencing to other series published under the same label. It's all done very comically that you can't help but love. Sugisaki Ken is a protagonist that knows what he wants. This is his Harem Ending! (Minus the conquered heroines.) This isn't a story of how he conquers each heroine or about him abandoning his love for harems to mature. Sugisaki Ken is already a developed protagonist. This is a series that takes place in the Resolution or Epilogue of his story. It's really quite well done as we do get to learn about his conflicts. They aren't the main focus, but they really are quite satisfying and moving. By the end of the series, I'm sure everyone will be another Harem Lover. So perhaps you've seen the anime, or read the licensed manga. You might be wondering why you should read the Light Novel. Let me state this clearly. Every version of Seitokai no Ichizon is pretty much completely different from the others. The Anime has an emphasis of the days going by and a slow burn as we learn about the more dramatic aspects of the story. It's a really well-written form of the story that doesn't dump everything at once, but teases bit by bit. The manga is much more self-referential and will constantly poke at both the anime and light novel while taking its own spin on the comedy and ends pretty quickly. The Light Novel is more chapter segregated with their meetings being the focal point. As the Light Novel came before the anime and manga, they are nowhere near as self-meta regarding them. We also get a bit more insight into the other characters' mentality and the LN even has its own special twist. 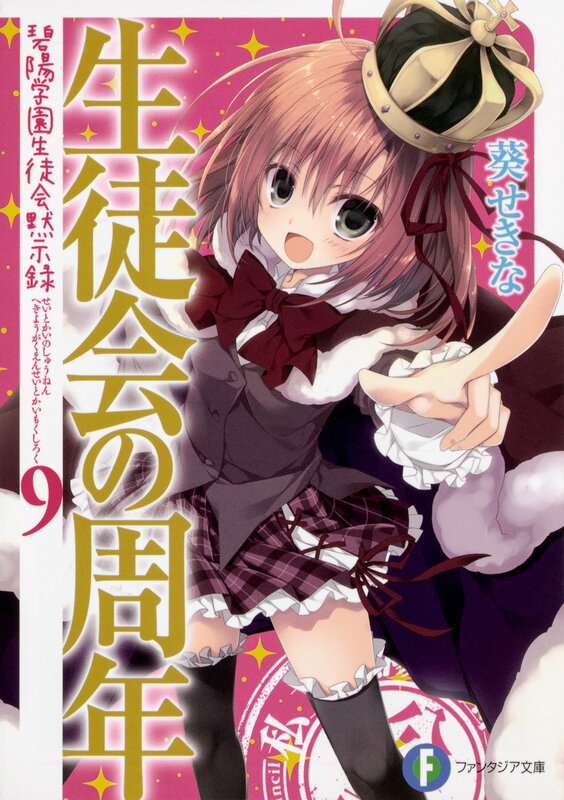 In the end, the Seitokai no Ichizon Light Novel series should be licensed. I've been wanting to read this series ever since I watched the anime, the comedy was golden, and surprisingly it has good drama as well. I still remember when I watched that episode where his confessions are shown. There are way too many harems where the protagonist stumbles his way into a bunch of girls. Now having a guy with the acutal goal to build one, that's something I'd like to see. I'll up this as a part of that "spotlight" thing. The first season was one of the best comedy anime of its time, though the second, made by a completely different team, is admittedly much worse. It probably means that the success of the first series is in no small part lies with the efforts of the anime staff, maybe they even seriously improved on the source material. But still, even if the books are only as good as that second season, the only comedy series JNC has right now would pale in comparison. Give it to me straight, doc. What are the chances of Seitokai no Ichizon ever being licensed? 10 volumes (more counting the short story volumes) with 2 anime seasons that aren't all that popular. Should I resign myself to the fact that it'll never be in english? It's probably for the best. And imagine how happy you would be if it did happen AFTER you accepted the cruel truth. I don't see the downside to moving on.